Brigg Town Community Interest Club kept their Lincolnshire League title hopes intact with a narrow win at top-four opponents on Saturday. After a goalless first half at Ruston Sports, Jake Reed struck a minute after the break to put the visitors in front. The hosts than had Scott Nicholson sent off seven minutes from time as Reed’s strike proved enough for a vital win. It sent Brigg up into second place, above Gainsborough Trinity Reserves on goal difference and with a game in hand. 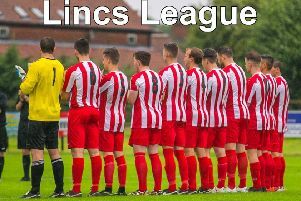 They trail title favourites Lincoln Moorlands Railway by five points with four games left, starting at home to Horncastle Town on Saturday (kick-off 3pm).